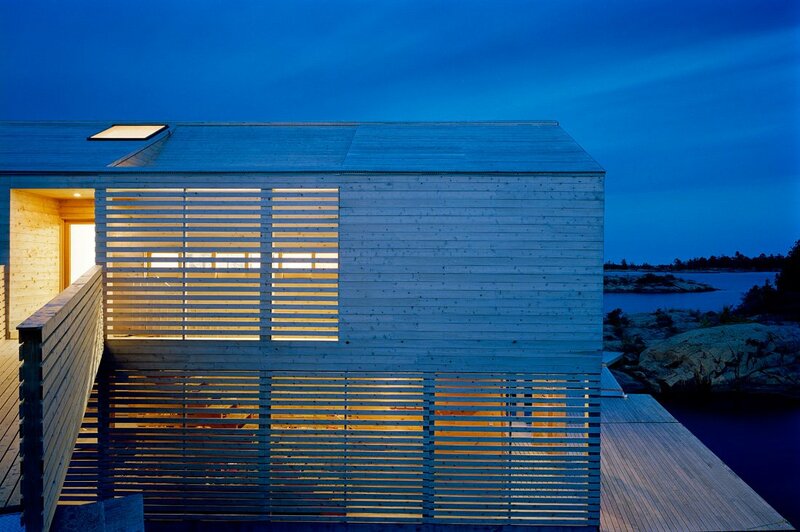 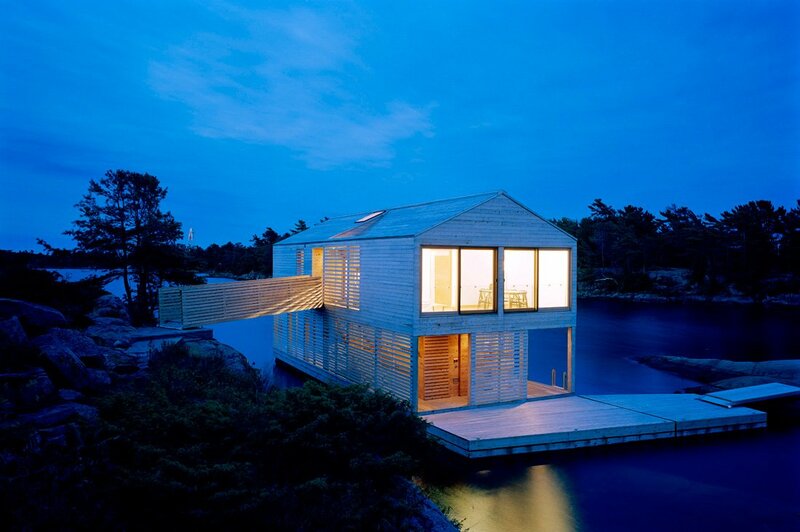 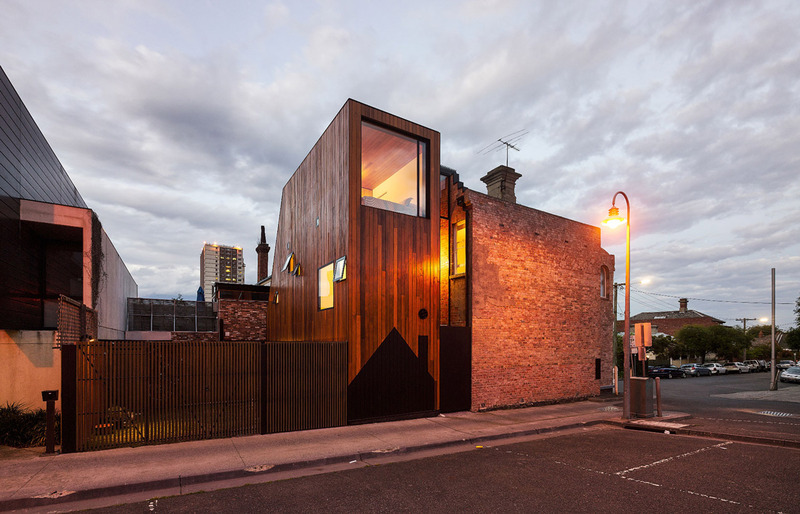 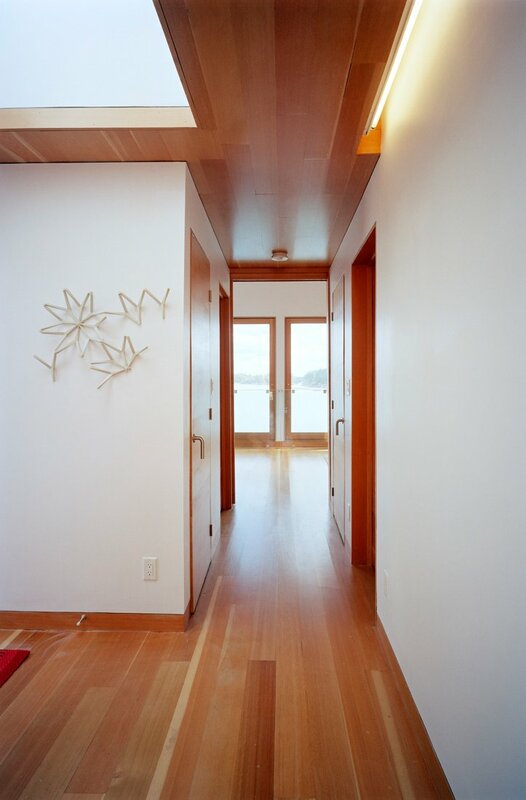 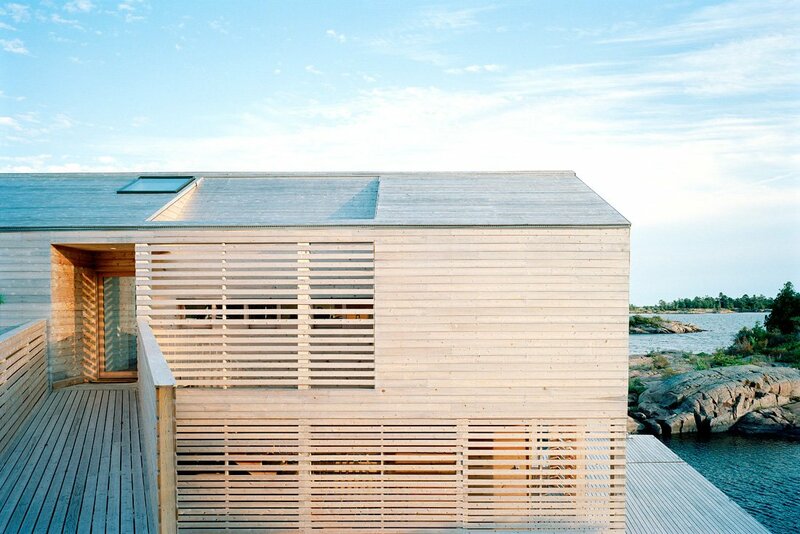 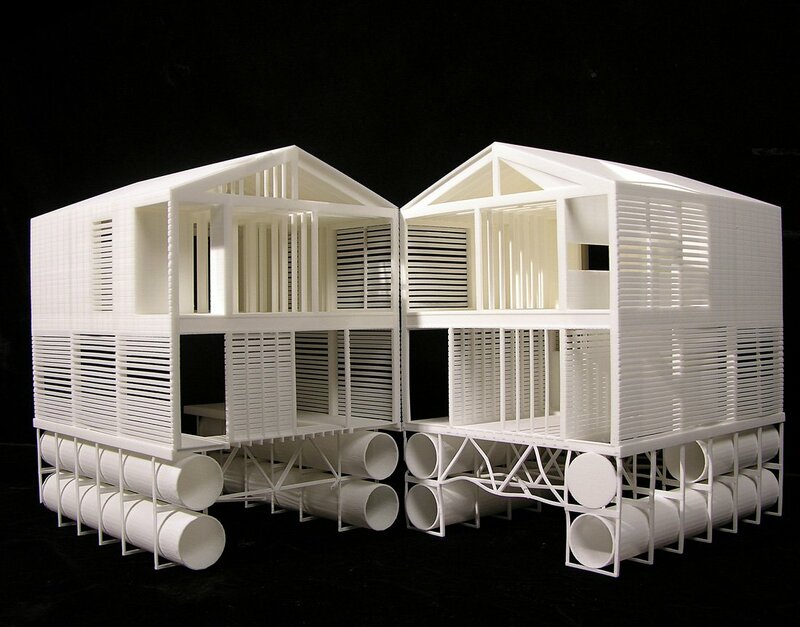 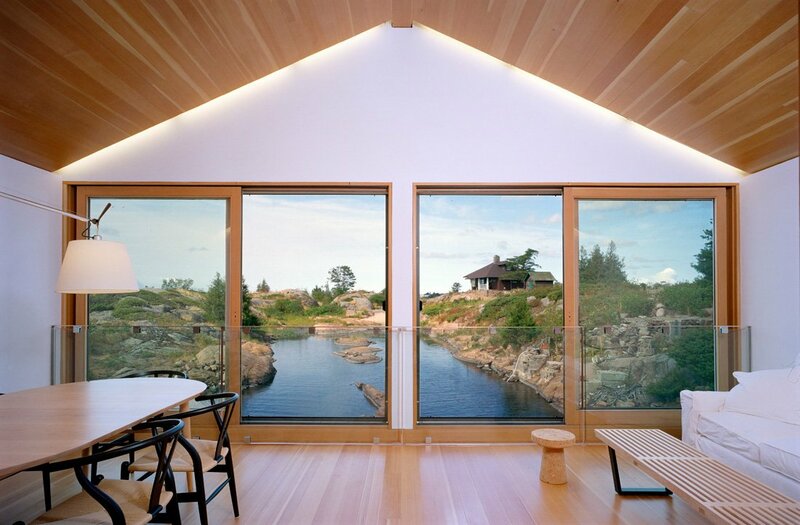 The Floating House was completed in 2005 by the New York based studio MOS Architects. 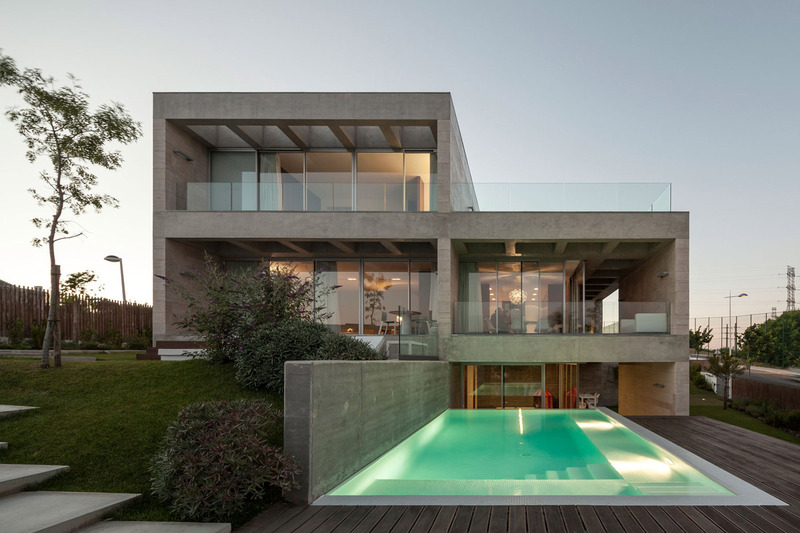 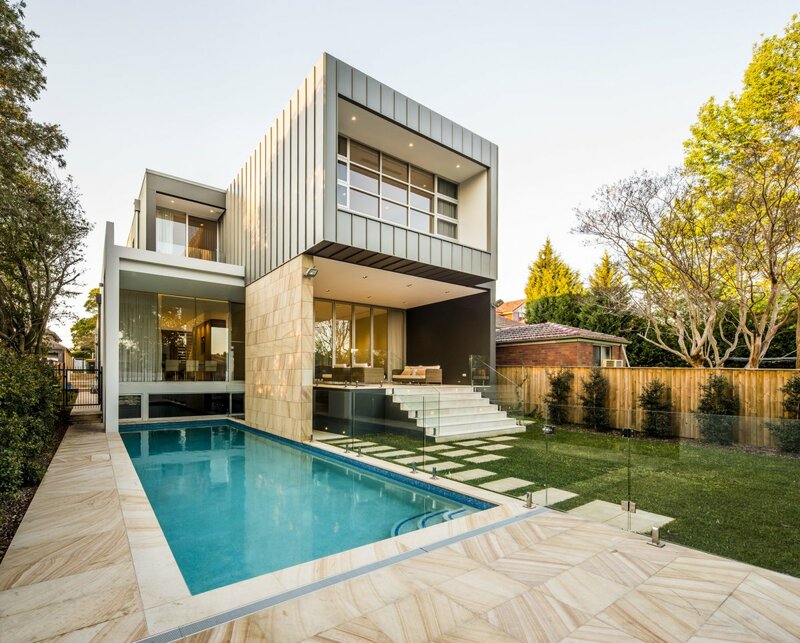 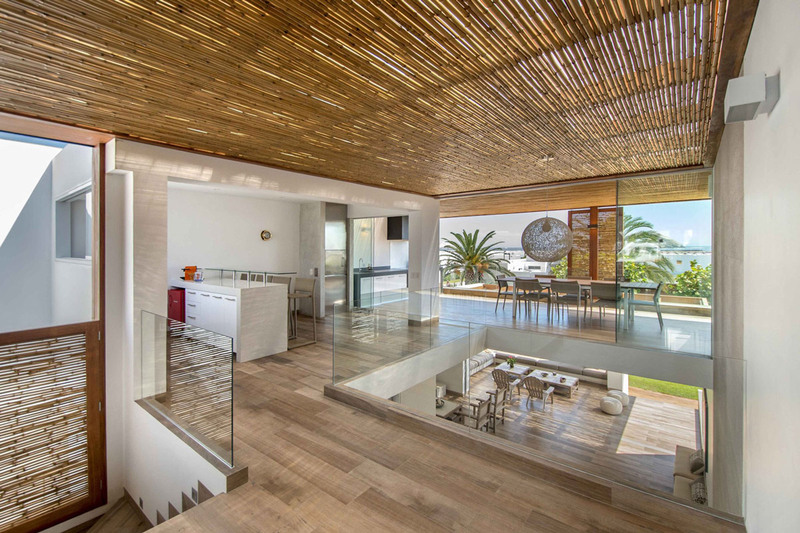 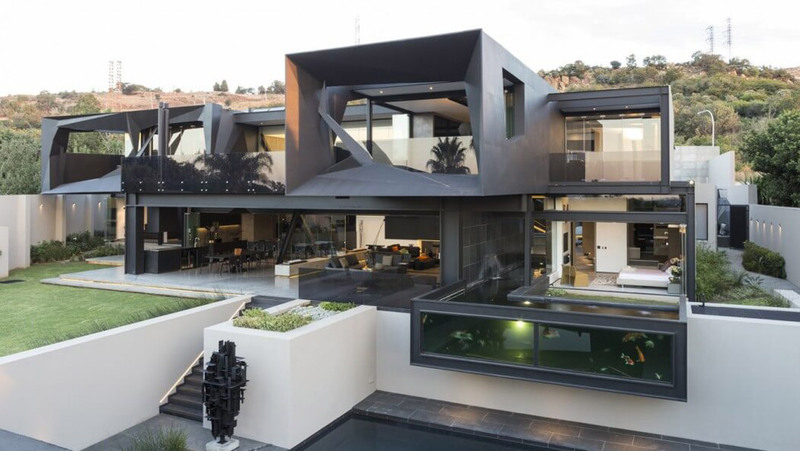 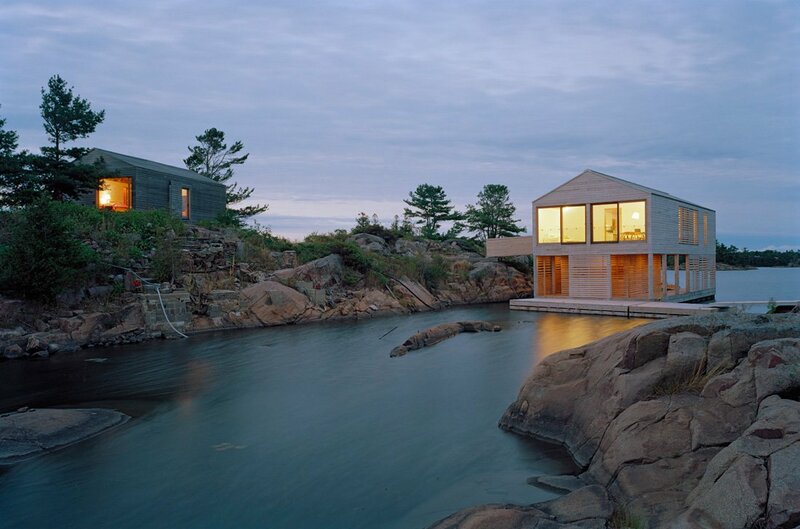 This contemporary home has been built on a structure of steel pontoons, allowing for the lakes drastically varying water levels. 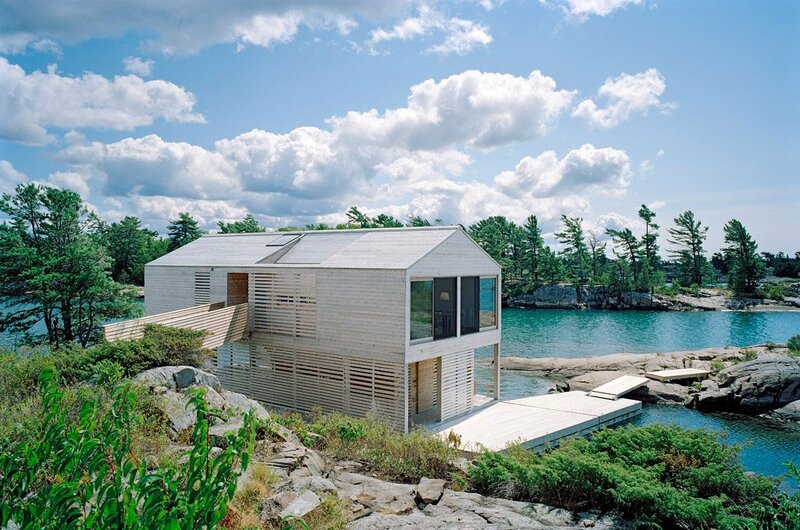 The Floating House is located on Lake Huron in Ontario, Canada. 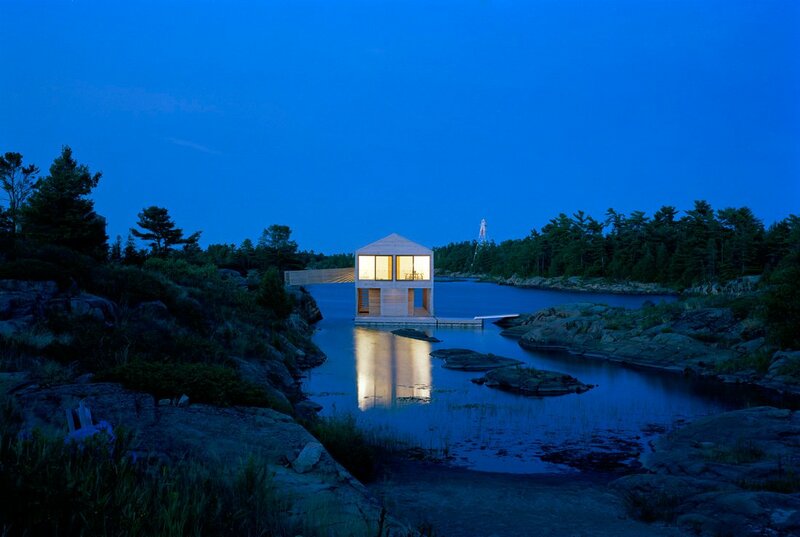 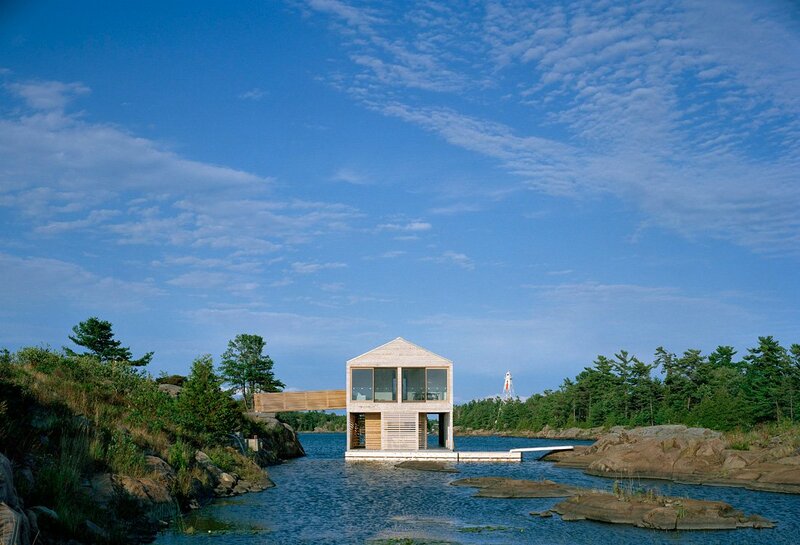 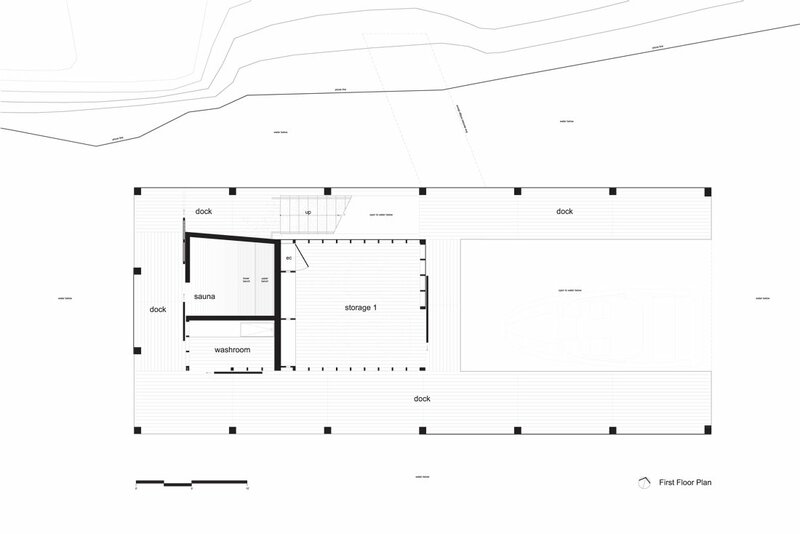 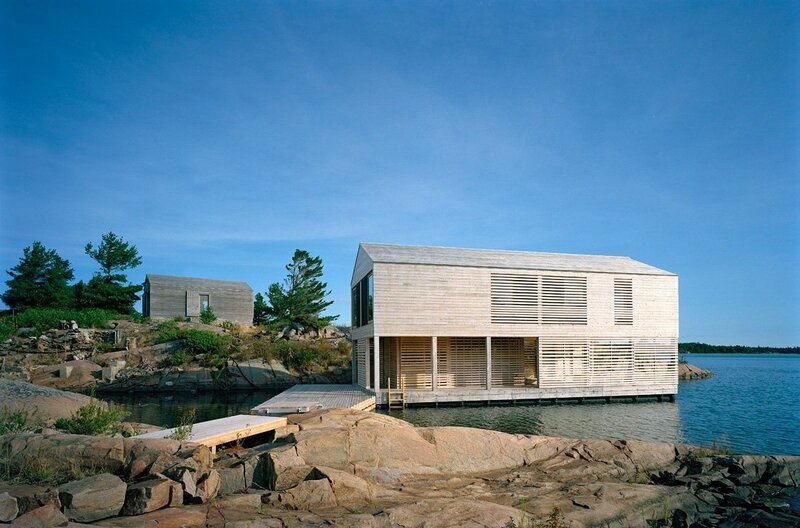 “The Floating House is the intersection of a vernacular house typology with the shifting site-specific conditions of this unique place: an island on Lake Huron. 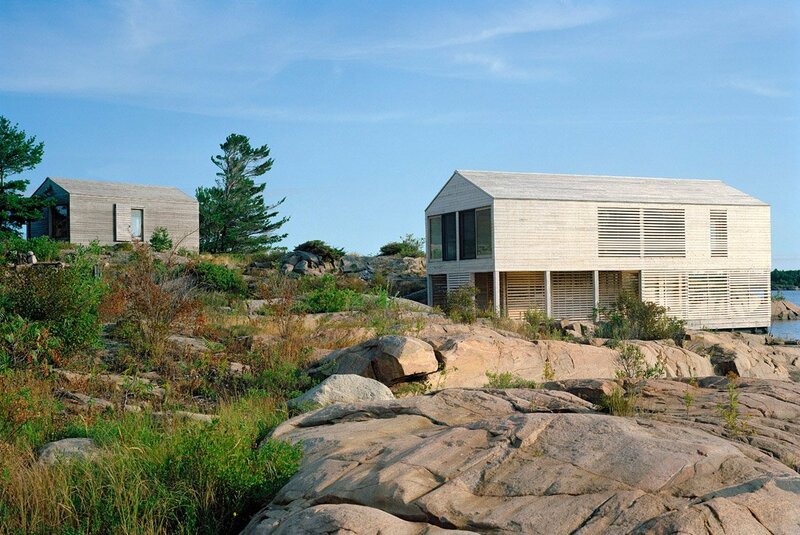 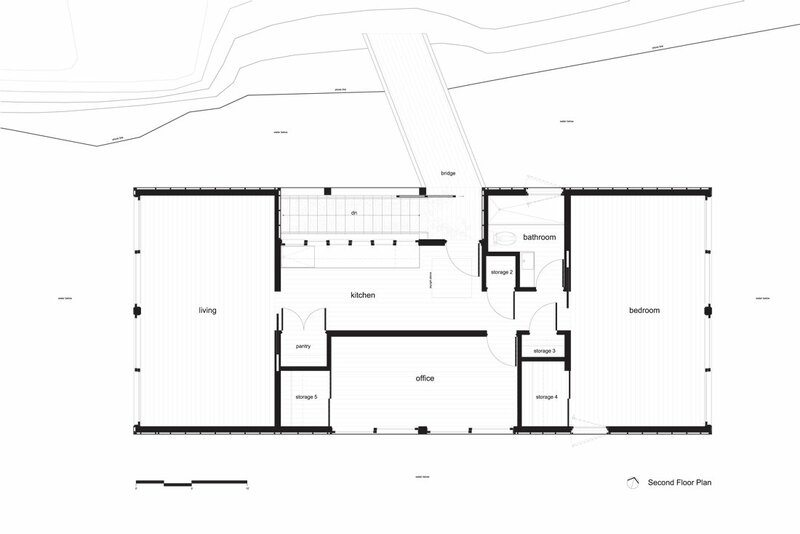 The location on the Great Lakes imposed complexities to the house’s fabrication and construction, as well as its relationship to site.